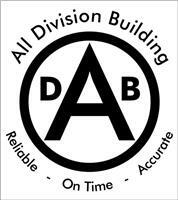 All Division Building Ltd - Bathrooms, Builder, Kitchens, Plasterer based in Welling, Kent. All Division Building Ltd are a family run business. We specialise in full Refurbishment works, from a new kitchen or bathroom to a complete house makeover. We also offer a build and design service with a huge range of products we can offer to our customers to help save money On material costs. We have been carrying out works covering all areas across London, Kent and Essex for the last 15 years and currently hold a contract for co-operative housing looking after over 100 properties. We have carried out projects in the royal opera house of London. Full toilet refurbishments to Wyevale garden centres and general maintenance. Full refurbishments to a variety of shops and offices. We treat all customers with total respect and work towards a very high professional standard.